Where does one begin to detail the woe that begot …Like Clockwork? For Josh Homme, the woe begins with a relapse of his knee ailment that had been plaguing him since the Lullabies To Paralyze era when he was on tour in Europe. The concert tour for Lullabies To Paralyze yielded a DVD, Over The Years And Through The Woods, which was released on both video and audio. During the video, at a point around “I Never Came”, he asks the audience who wants his cane and throws it out to the crowd, then instantly winces as it flips precariously into the sea of craniums. During this tour, Homme was also infirmed with a respiratory ailment. Not to mention, it can’t do one’s mental state any benefit to run out your label contract. Interscope had been micromanaging Homme about how they wanted this album to sound, to the point where Homme FIRED (yes, the final word out there is Homme fired) drummer Joey Castillo about ¾’s of the way though the process of making …Like Clockwork. So it is no surprise that this record is on both Homme’s ‘Rekords Rekords’ label, and new Queens Of The Stone Age distributing label is Matador out of New York City. An upstart indie label, not exactly the powerhouse that Interscope was. Be mindful of the fact that Homme and wife Brody Dalle (Distillers fame) have two children now. First, Homme initiated all four into his own personal anguish. Homme felt that for the band members understand why he would be writing some dire, introspective and (even for Queens) unusual music, they needed to walk the proverbial mile in his shoes. Once he took the members down to his level, emotionally speaking, he took them with him all the way back to the first album. Homme secured the rights to the first Queens Of The Stone Age self-titled album, remixed it, added bonus tracks and distributed it from his own Rekords Rekords label. Yours dubitably managed to see this tour at Terminal 5 in New York City. The review was posted here recently as part of our Friday Flashback. This cast of rock royalty is joined by the four full-fledged members, Homme, Troy Van Leeuwen, Mikey Shuman and Dean Fertita. Let’s see where this musical mass carries us on its rampage to ruin. 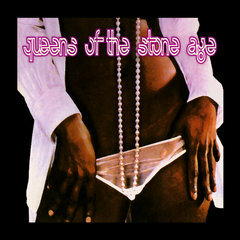 The new and improved Queens Of The Stone Age seminal first album. The re-release has garnered such interest that the band embarked on a tour shortly after a near-death experience by frontman Josh Homme. AUTHOR’S NOTE: Once again, the Friday Flashback brings you a goodie from our past. 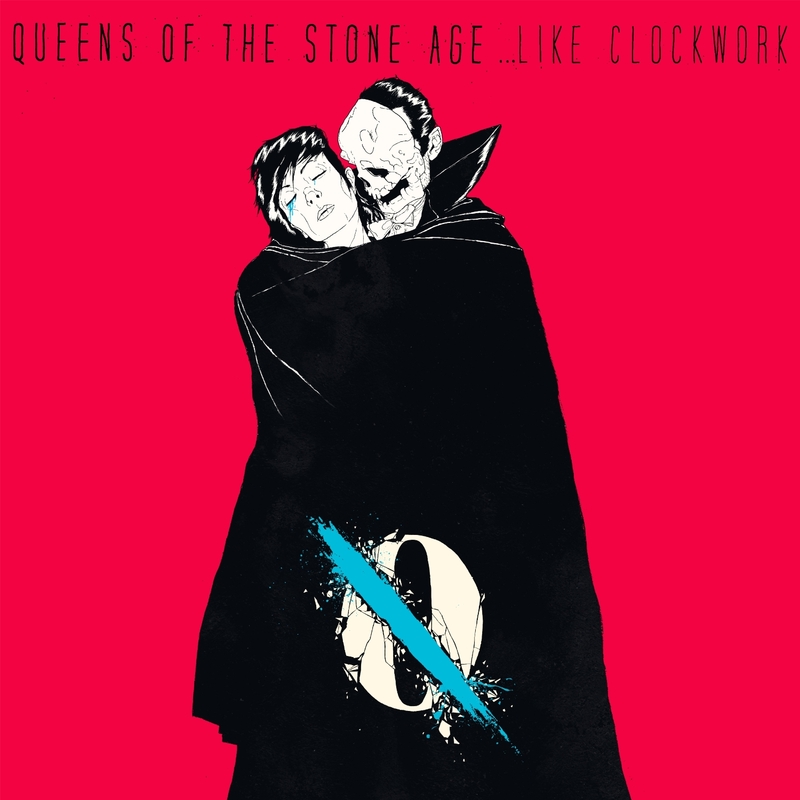 With all the hype about the forthcoming release from Queens Of The Stone Age, …Like Clockwork, we felt it would be a good time to resurrect this review of a live performance of the band shortly after the re-release of their first, self-titled release. With remixed tracks and additional cuts, this disc was worth buying even if you had the first edition, or if you had a copy of one of the discs that front man Josh Homme resurrected from a palate that was lost in an Interscope warehouse for approximately a decade, this version topped them all. The only thing better than the disc, was watching the newly expanded Queens (with new members Mikey Schulman and Dean Ferita) play out these tunes and other classic Queens tunes. Enjoy this new and improved version with YouTube videos courtesy of vizcat! It was no surprise that the Queens Of The Stone Age (QOTSA) sold out its first tour in many years. They left fans wanting more after their Era Vulgaris tour, and Josh Homme teased us with his super-group Them Crooked Vultures, which was also economically viable to the point where his cohorts in the band (Foo Fighters’ Dave Grohl and Led Zepplin bassist/keyboardist/arranger John Paul Jones) want to keep the band productive.